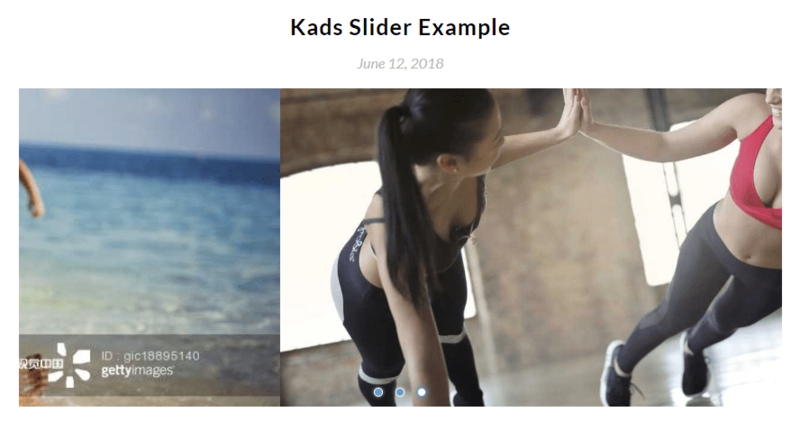 Kads Slider is a robust and fast WordPress plugin to embed fully responsive, highly customizable, SEO-friendly and touch-enabled sliders/carousel into your posts/pages with shortcodes. Allows to add as many layers (images, videos, text, buttons) to the images. Allows you to set the maximum number of images per slide. Autoplay at a given interval. Pause on hover is supported as well. Loops through images via mouse drag and touch swipe. CSS3 based animate in/out animations. 1. 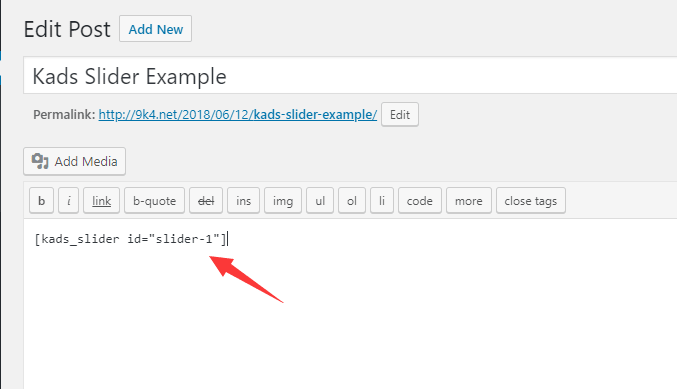 Install and activate the Kads Slider plugin as usual. 2. 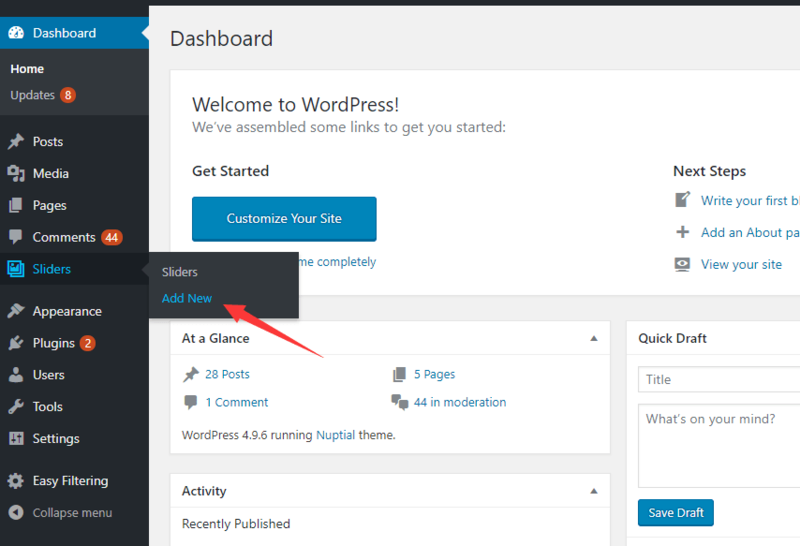 Click the Add New to create a new slider. 3. 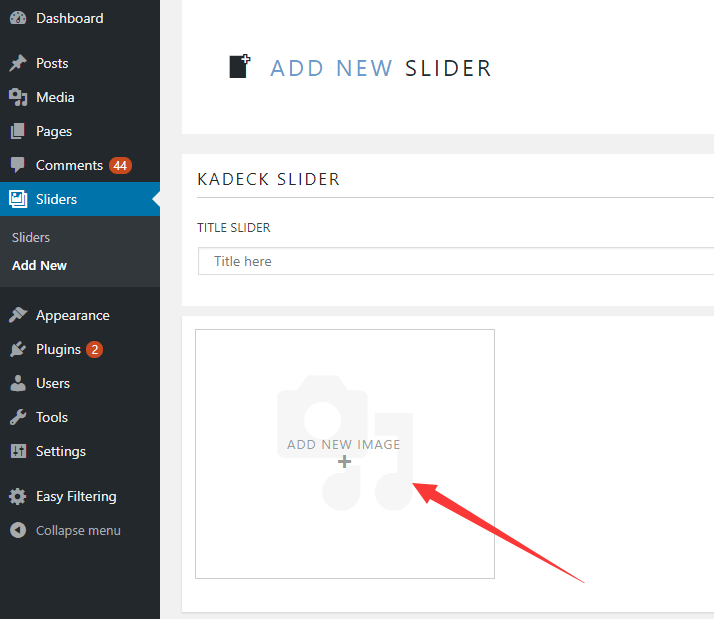 Add your own images to the slider. 4. Add custom layers to the current image as per your needs. 5. Customize the slider by toggling and selecting options in the Basic configuration panel. 6. 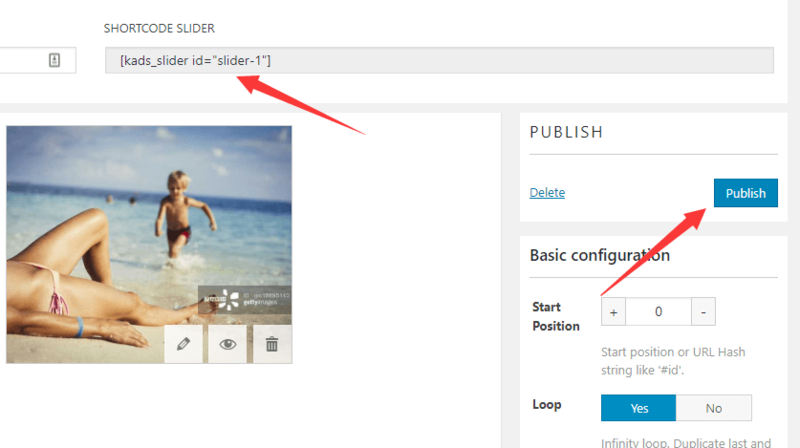 Click the Public button to create a new slider and you’ll see the shortcode for this slider. 7. Insert the shortcode into anywhere you want to display the slider. That’s it.